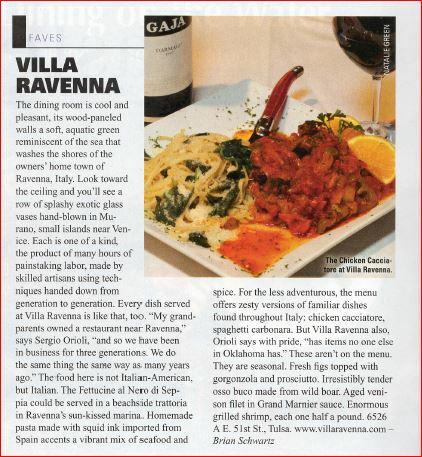 Click below to see all Villa Ravenna's articles, reviews and news materials from the most recognized organizations such as Yelp, Tulsa World, Urbanspoon, TripAdvisor, Urban Tulsa, Oklahoma Magazine and The current magazine. 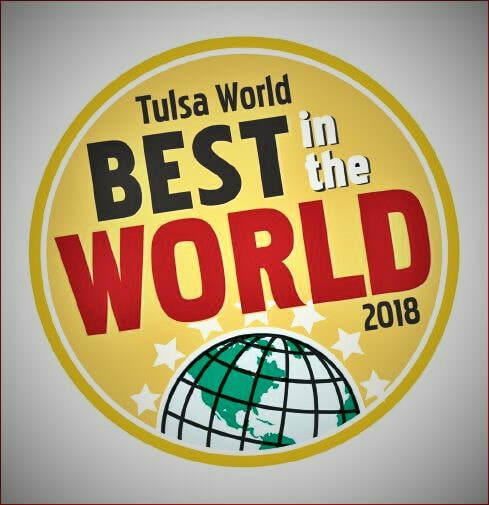 We were selected the Best of The Best by Oklahoma Magazine. 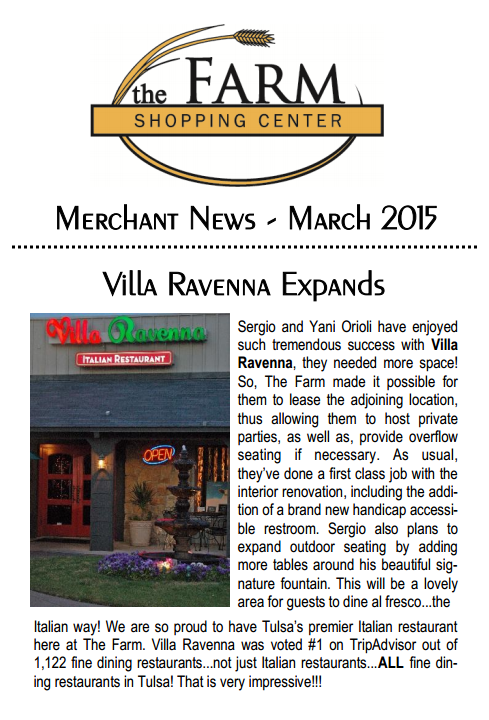 Thank you to all our guests who make this possible. 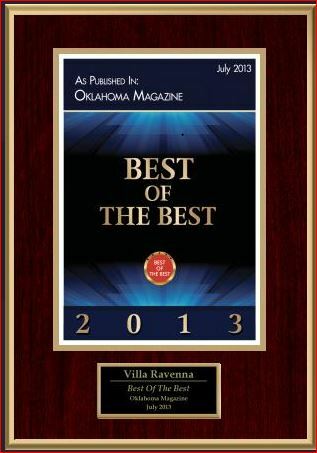 Villa Ravenna was reviewed by Tulsa Wold Food Critic and gave us 4 stars out of 4 . 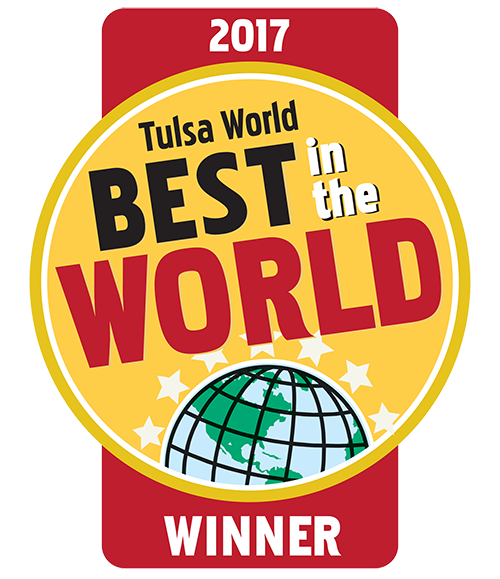 Thank you Tulsa and surrounding Areas for making this possible as well to all our fantastic Staff . My mother, whom I called mamma is one of the back bones of Villa Ravenna and Via Emilia, since childhood, she taught us the recipes and the love of good food. 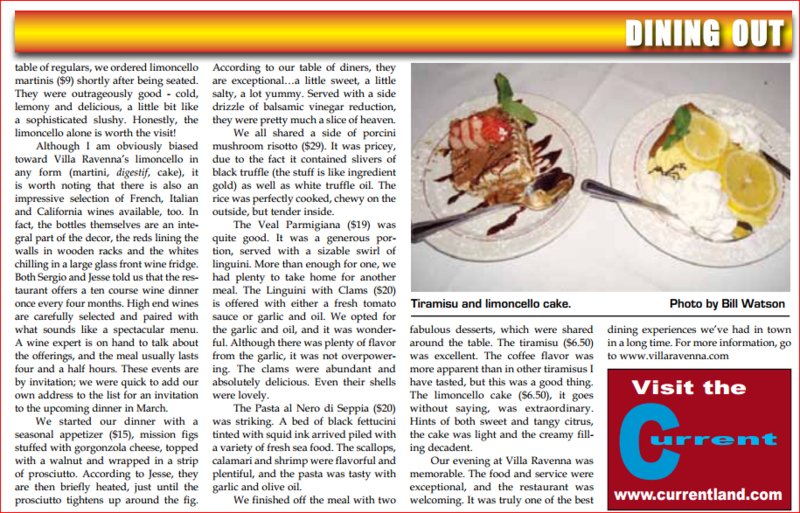 We at Villa Ravenna share the love with our guests by providing the best quality and variety. since we prepare each meal to order, are able to accomodate who have special requirements including vegetarian and vegan diets. We change and add many entrees and appetizers continuously to provide variety and a great Italian experience, Most of our wines are Italian and great Napa wine. We have a great wine list so, you are sure to find what you like.